Reissue with the latest 24bit remastering. Features original cover artwork. 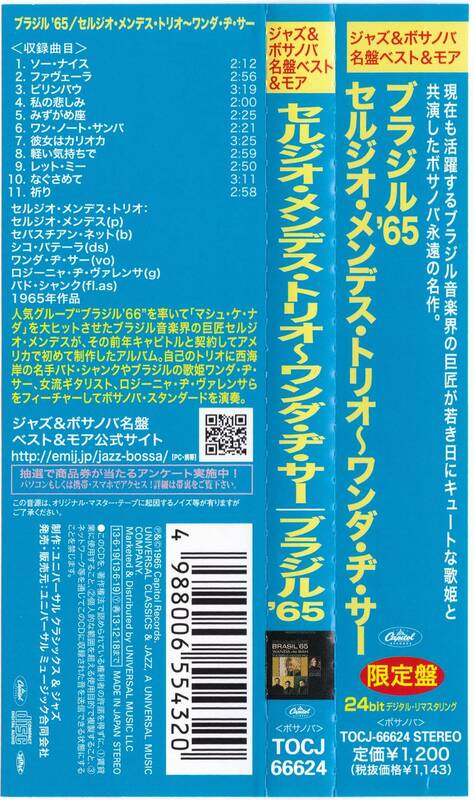 Comes with a descripton in Japanese. 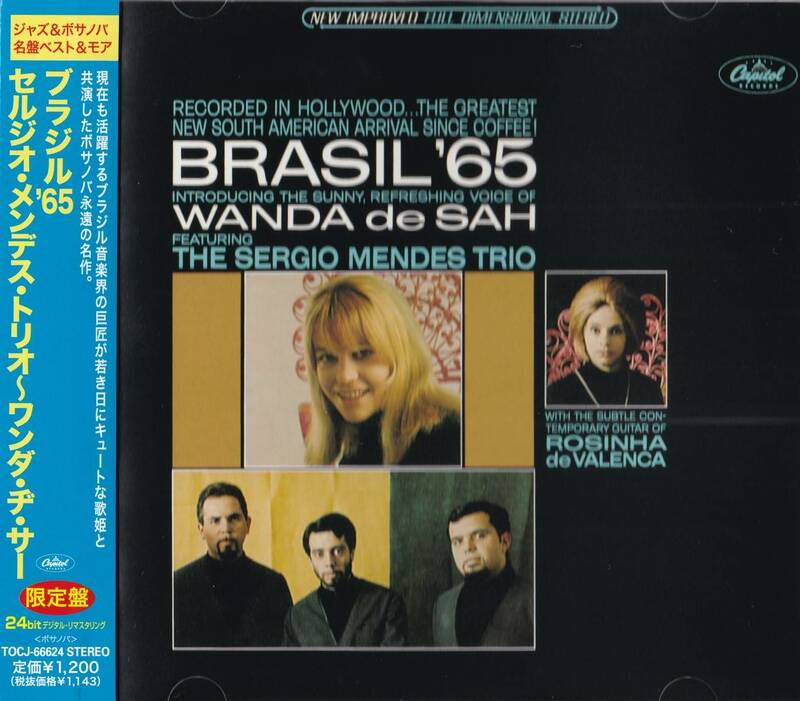 That's Brasil 65, not Brasil 66 – a distinction that marks a key early stage for the great Sergio Mendes – heard here on one of his first albums to mix together bossa jazz and vocals! The approach here is a bit more like vintage bossa dates from Brazil – or a bit like some of the Verve bossa records too – as Sergio's core trio is at the heart of every tune, playing with a great jazzy approach – then augmented in different ways by alto and flute from Bud Shank, guitar from Rosinha De Valenca, and vocals from the lovely Wanda De Sah! 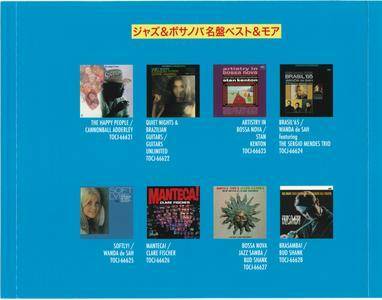 Production is perfect – really in a classic Elenco Records mode – and titles include "Let Me", "Consolacao", "Tristeza Em Mim", "Muito A Vontade", "Reza", "Berimbau", and "Aquarius". 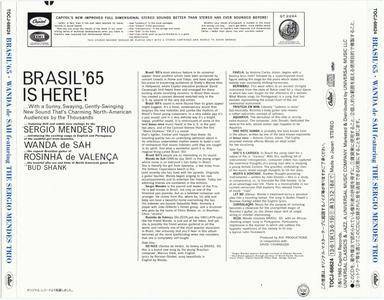 In 1965, Sergio Mendes and his trio conducted their first out-of-Brazil experiment: They recorded in L.A. for the first time in what proved to be their first major move into the U.S. market and their embrace of the new bossa nova sound. Accompanying the Mendes band were then-great vocalist Wanda de Sah and guitarist Rosinha de Valenca. This is deeply swinging bossa; it is crisp and pops out at the listener in every conceivable way. 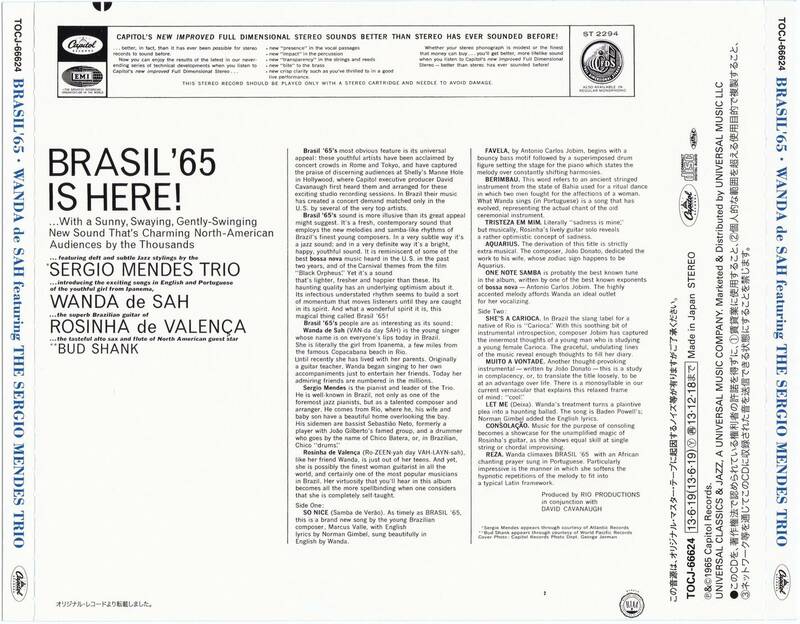 It features exotic and pioneering rhythmic work, smooth accessibility, and sophisticated melodies, many of which were written by the hottest talents in Brazil, such as Marcos Valle ("Samba de Verão" [aka "So Nice"]), Baden Powell and Vinícius de Moraes ("Berimbau"), João Donato ("Muito a Vontade"), Edú Lobo ("Reza"), and of course Antonio Carlos Jobim ("One Note Samba" and "She's a Carioca"). 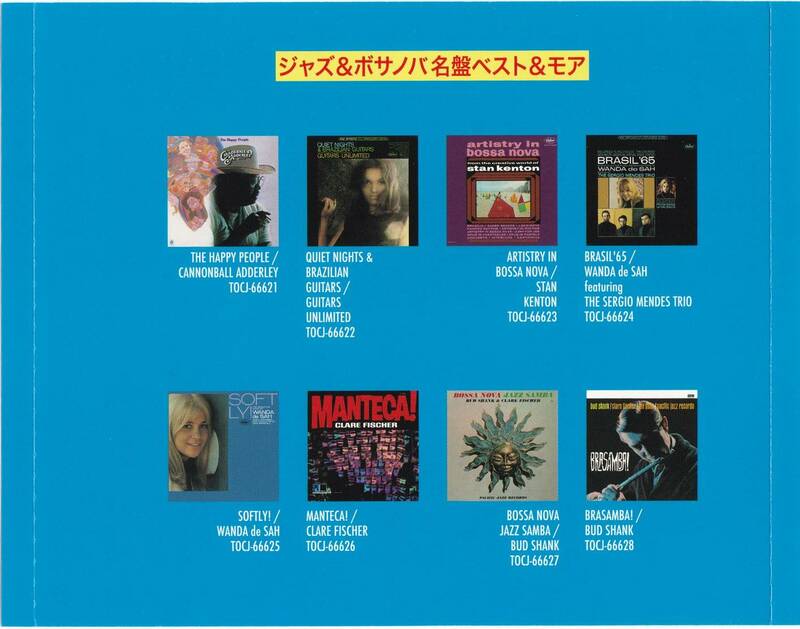 Also adding to the jazzed-out nature of the new bossa flavor was Bud Shank blowing alto on "So Nice" and other cuts, which had its lyric – -as did "One Note Samba" and a few others – translated into English. But the appeal of Shank's appeal with this band cannot be overrated. Shank took the shimmering mist that Getz contributed to bossa nova and punched it up and gave it an edge and some raw emotion. 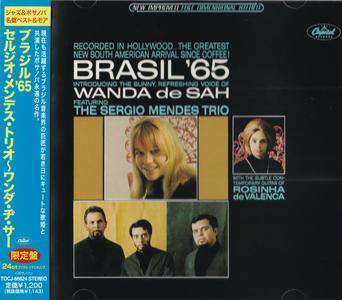 This stands with Mendes' best work from Brazil and is truly one of his American highlights.